Any idea why Fearne Cotton is everywhere these days? The papz seem to love her. Either that or her PR team is paying a big sum to keep her visible. Earlier today, the British blond was spotted heading to BBC Radio 1 studios for her daily routine. The radio DJ looked pretty chic in a fall-appropriate outfit that included a beanie and a cute black-and-white patterned poncho paired over skinny jeans. She also toted a bright green purse for added drama. You know, if we had to nitpick, we’d probably ask her to change her boots to a sexier pair — one with higher heels in black suede. Other than that, however, the whole mix she put together looks fine. 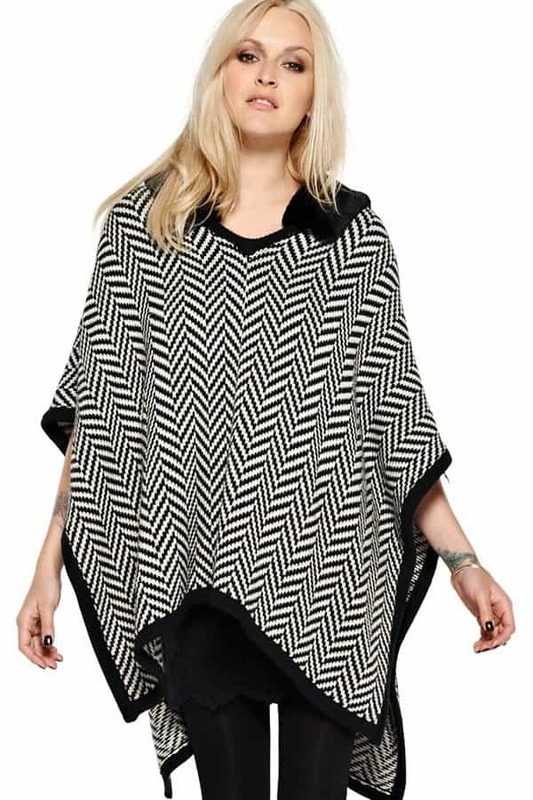 Besides, we’re really all about that poncho. Isn’t it neat? We love how it comes with a collared V-neckline; it’s different from the usual. Curious to know where she scored the piece? Fearne’s cozy topper is actually from her own fashion line, Fearne Cotton. It’s made of knitted acrylic-wool material trimmed with a detachable faux fur collar. A slouchy hood details this print denim poncho. A flap covers the zip placket, and the split sides offer a relaxed fit. 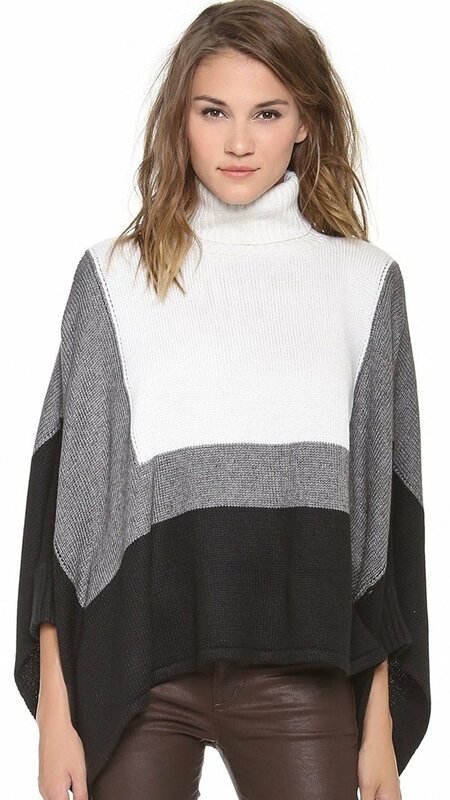 An oversized cut and fitted dolman sleeves bring unique proportions to this color block turtleneck sweater. 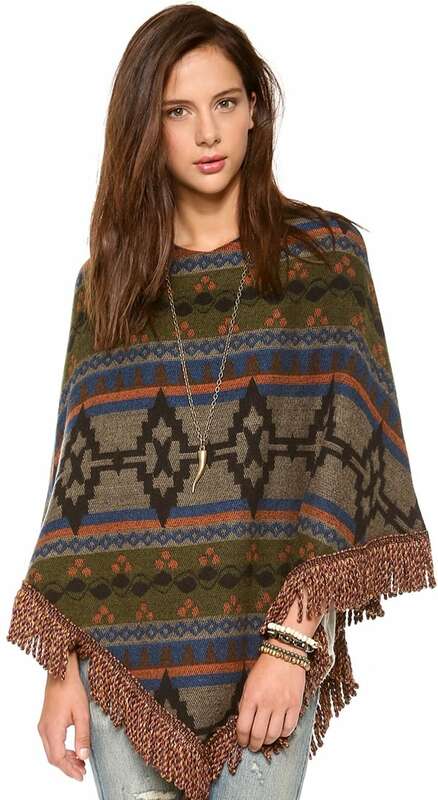 This poncho features a tribal-inspired pattern and cabled fringe at the hem.